Making up 50% of worldwide use, 304 stainless steel is the most commonly usedstainless steelgrade. It is a grade that’s often purchased as a "304/304L dual certified stainless." 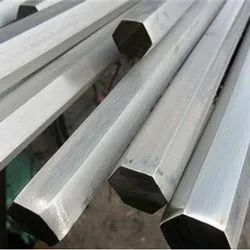 It is a very low carbon, austenitic chromium-nickel steel with good corrosion resistance, superior resistance to intergranular corrosion following welding or stress relieving, and high malleability. The low carbon content in 304 stainless steel limits the formation of harmful carbides to such an extent that this grade may be safely used for most operations of welded construction, as well as where the service temperature is limited to 800 degrees F. 304 Stainless Steel is not magnetic in the annealed condition and not hardenable by heat treatment. Cromonimet stocks 304 stainless bar in standard mill finish and in several types of ground and polished, turned and polished or peeled finishes. Because 304 and316 steelare the first and second most common stainless steel grades, respectively, they naturally draw comparisons. The main difference between the two is that 316 steel contains molybdenum. Molybdenum makes 316 more corrosion resistant and therefore more suitable for high acidity environments and applications, like underwater equipment, surgical tools, and pharmaceutical production. However, 304 steel tends to be more affordable, allowing for versatile application in environments where extreme oxidation is less of a risk. Looking for SS 304 Ground & Polished Bar ?